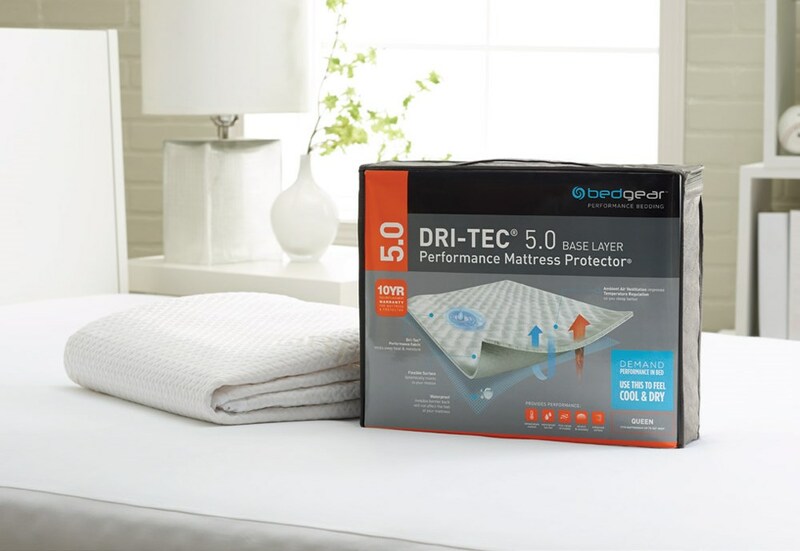 Bedgear™ is a leading manufacturer of performance bedding essentials with a philosophy centered on delivering superior sleep quality to enhance your active lifestyle. 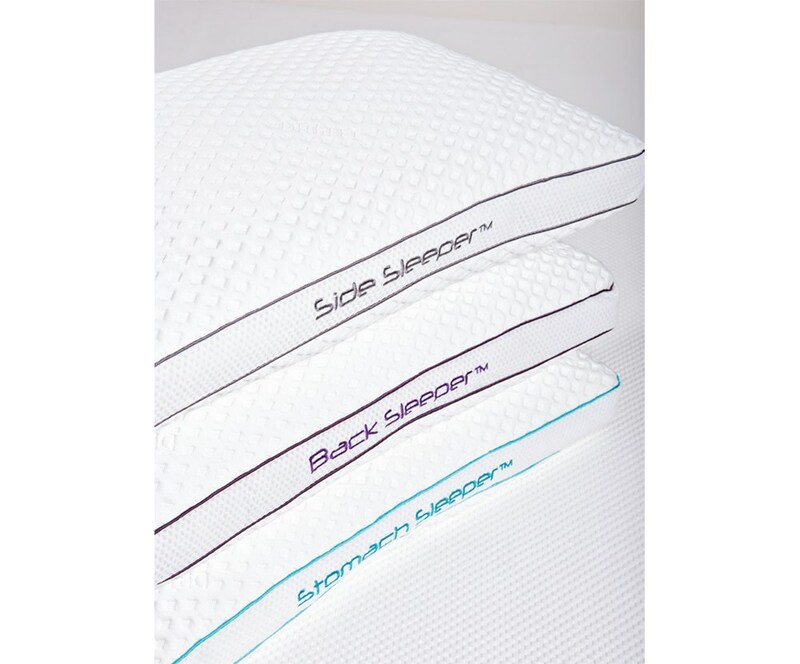 Our comprehensive selection of performance pillows, pillow protectors, mattress protectors and mattress encasements harness similar cutting-edge technologies to those used in performance athletic wear. Experts at innovation, we have mastered advanced textile fabrication techniques to engineer top-of-the-line sleep essentials that deliver the clean, cool, fresh environment your body needs to regenerate. Visit Stoney Creek Furniture today to get fitted for the perfect Bedgear product for you. Powered by Dri-Tec? 5.1 diamond interlock moisture and heat management fabric in a structural pattern. All gussets display their custom-fit sleep position for easy stock & shopping; each pillow is filled with a unique down- alternative hypoallergenic fill, designed to create the proper support for each sleep style… “A Bed for Your Head”. Contours to your body to support the natural tendency to cuddle your pillow about your shoulders, and also allows you to place your arm beneath the pillow without altering the surface performance. Dri-Tec? performance fabric wicks away heat and moisture so you sleep cool & dry, enhancing the conforming aspects of the BG-X core, while reducing “heat”- related complaints! With seamless integration of our unique Air-X? all-side panels, ambient air exchange is increased. 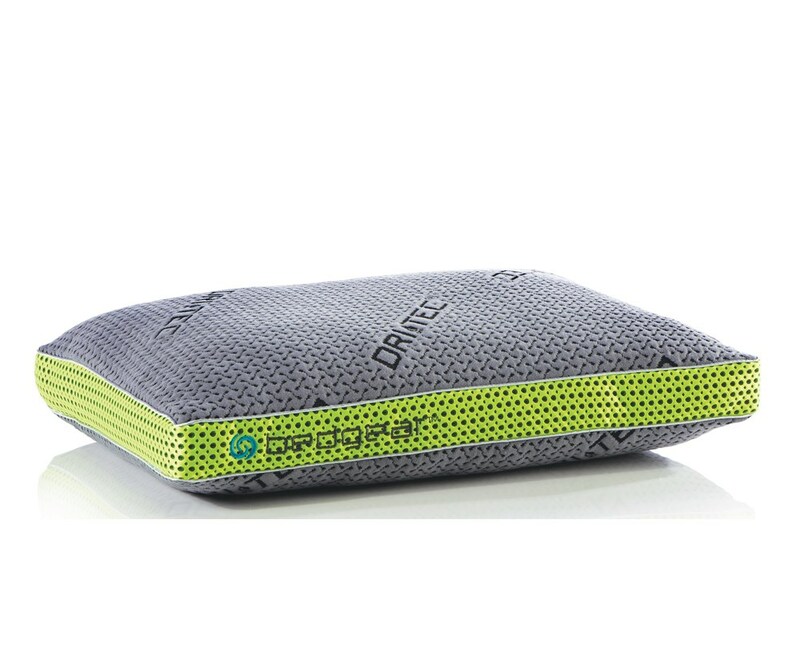 A cooler pillow ensures less tossing & turning, so you get a better night’s sleep for optimum recovery. Our React™ foam is made with ergo-molding memory foam clusters, designed to fit any sleep position. BG-X’s unique conforming core provides constant cradling and weightless support for your head, neck & shoulders, and dynamically reacts to your motion for the most comfortable fit. Your pillow contributes up to 30% of the comfort of your sleep – our flexible fill adapts to you, providing durable support that interacts with your form and motion, contouring to match your personal shape. 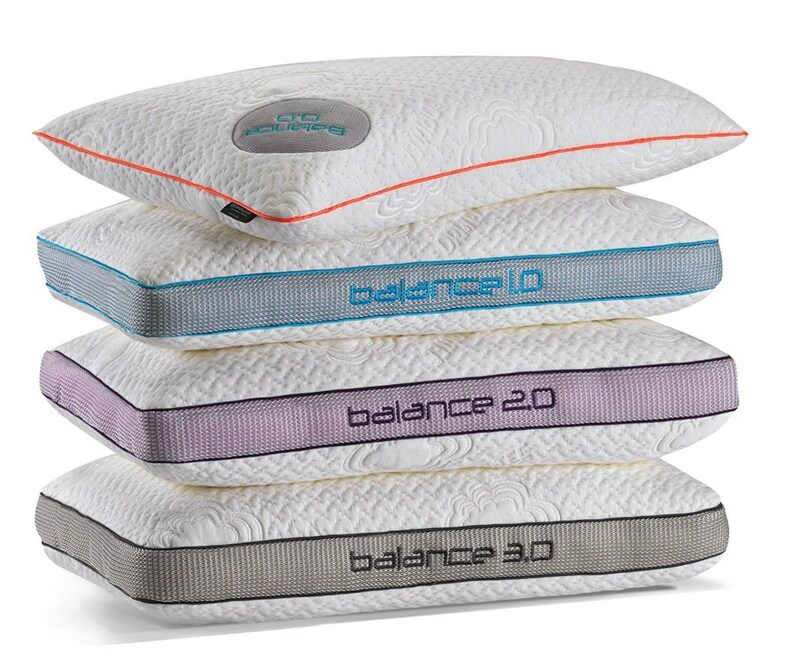 Bedgear BalancePerformance Pillow? powered by Dri-Tec? and Air-X? technologies – now available in 4 levels to easily custom-fit & match every sleep profile. Flexible Boost™ foam fill self-levels to fit you while retaining its shape to comfortably provide support throughout the night. Helps alleviate pressure points to ensure deeper sleep. Boost™ foam is our unique blend of frothed natural rubber clusters blended with silk-feel gel-fiber “connective tissue” to create a resilient pillow that instantly cradles your head, neck and shoulders. Dri-Tec? fabric surface wicks away heat and moisture to help you sleep cool & dry. Your body temperature needs to drop 2 degrees each night for proper rejuvenation and recovery; reducing heat trapped next to your body helps you sleep more restfully. Air-X? ventilated panels enhance airflow. Our 3D structure keeps air flowing, moving heat away from your head, neck and shoulders and maintaining ambient temperatures in the pillow core. Filter fabric behind Air-X? gussets creates a one-way airflow baffle; prevents allergens and dander from entering the pillow core. Dri-Tec® performance fabric has a unique channel-weave construction that facilitates air flow and wicks away heat & moisture from your body. Ambient air ventilation improves temperature regulation so you sleep better. 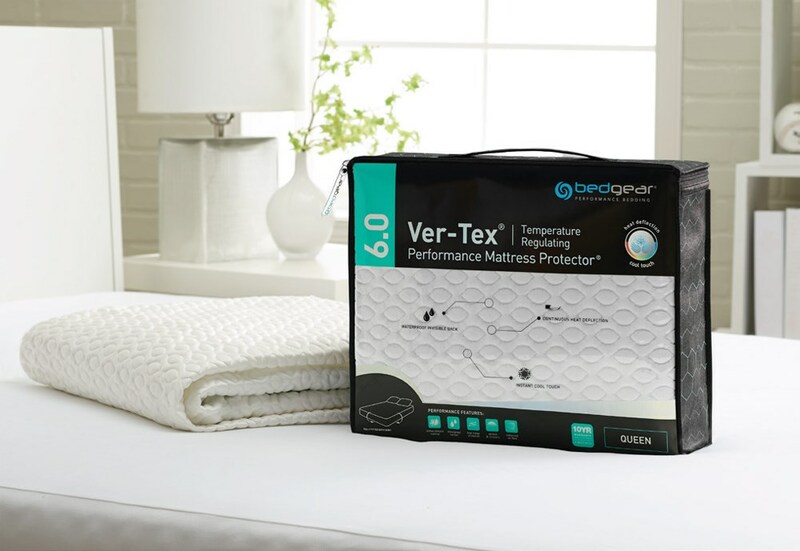 Waterproof, virtually invisible barrier back will not affect the feel of your mattress - Enhances the conforming aspects of memory foam and latex mattresses, while reducing “heat”- related mattress complaints! Fully-banded elastic provides secure grip with no baggy sides - Perfect for power bases and works with all beds for optimal flex and recovery to flat position. Triple layer 100% performance polyester with breathable moisture barrier back. 100% polyester stretchwall skirt fits and grips your mattress, from 8” to 22” in sidewall height. Ver-Tex® has a unique contoured channel construction that delivers instant heat deflection and remains cool to the touch. Performance fabric provides continuous ambient air ventilation throughout the night so you sleep better. Flexible surface dynamically reacts to your motion, delivering the most comfortable fit. Waterproof invisible barrier back keeps you dry throughout the night. 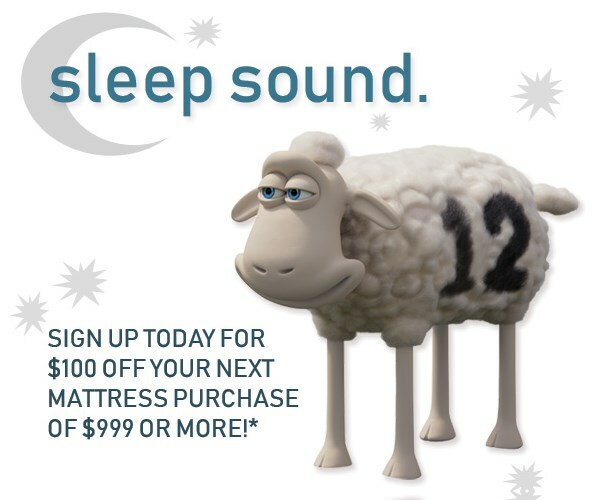 Enhances the conforming aspects of memory foam and latex mattresses, while reducing “heat”-related mattress complaints. High-stretch skirting means no bunching beneath your sheets. Four-layer temperature regulating fabrics with breathable moisture barrier backing.